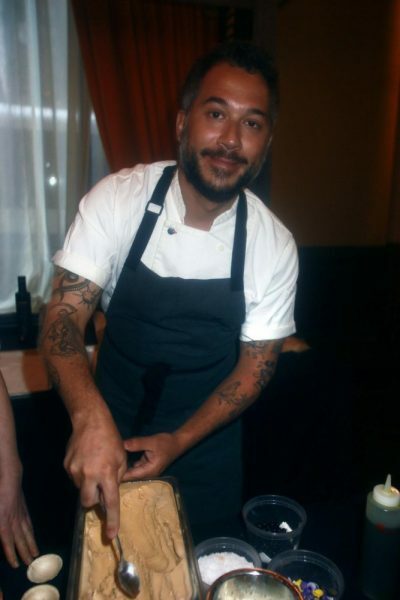 Chef Christopher Engel. 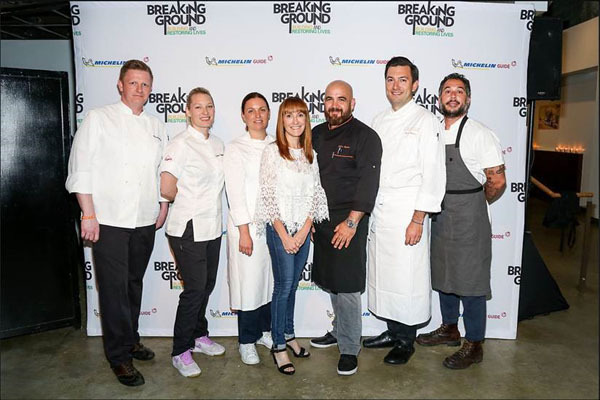 Chef Emma Bengtsson, Chef Melissa Rodriguez, President and CEO of Breaking Ground Brenda Rosen, Chef Cosme Aguilar, Chef Aaron Bludorn, Chef Carlo Mirarchi. 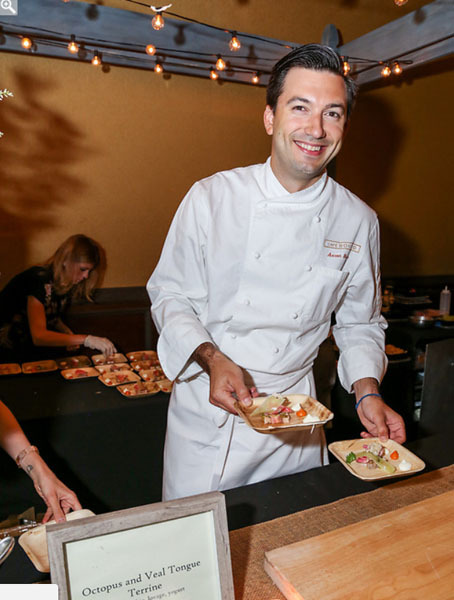 The event featured celebrated chefs like Carlo Mirarchi, Aaron Bludorn, Cosme Aguilar, Emma Bengtsson, Christopher Engel, and Melissa Rodriquez. 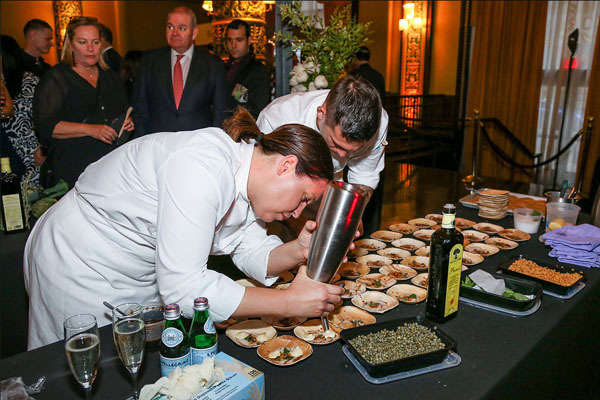 Attendees enjoyed chefs’ tasting dishes, such as scallops with caviar, rose, and pine and ceviche de pescado, and premium open bar and gourmet desserts. 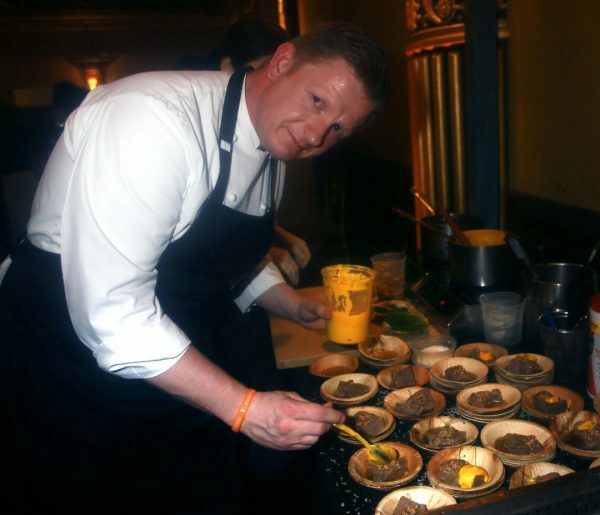 Michelin recognized restaurants Casellula and Red Rooster Harlem, along with Somtum Der, a Michelin Bib Gourmand designated restaurant, also participated in the festivities. 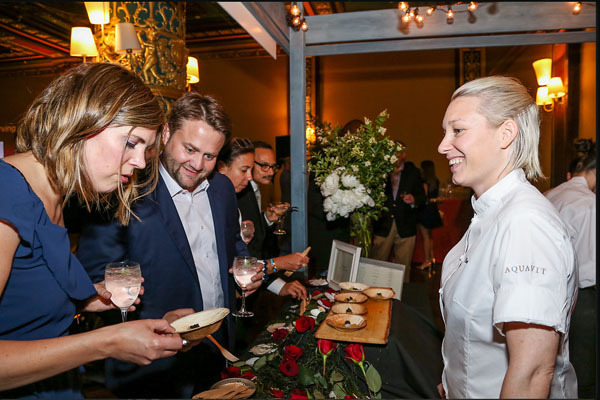 The benefit event served to raise critical funds for housing and services for homeless New Yorkers, with all proceeds going directly to benefit Breaking Ground’s street outreach and transitional housing services.